March | 2014 | From Why? to Wow! 4OD programme on life on the International Space Station (ISS) and NASA’s resources on the ISS. Amazon Prime Air – video of drone delivery service idea from Amazon. Building an Airbus A380 in 7 minutes. Cambridge University Eco Racing – a 60 strong student organisation that designs, build and races solar powered vehicles. “I want to study engineering” – resources to help you get a place at a top university to study engineering. Khan Academy – one of the most well-known examples of web enabled learning for everyone. MakerBot – desktop 3D printing. 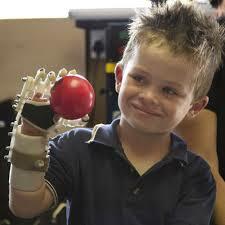 MakerBot RoboHand – the story behind the making of RoboHand. Mavrx – the company that Max Bruner started that uses drones to access data to help farmers. Stratasys – from ideas to prototypes to products. And if you’d like to see more videos about engineering, please visit our YouTube channel or visit Cambridge University Engineering Department’s YouTube channel.